On Tuesday, April 19, 2005 at 1:29 PM, the Onondaga Township Fire Department received a report of a grass fire at 4863 Walker Rd. Upon the arrival of firefighters it was discovered that the small grass fire had extended to a large pile of stacked lumber. The first arriving grass rig played first water on the adjacent home which was showing signs of damage from the heat, then an attack began on the lumber pile. 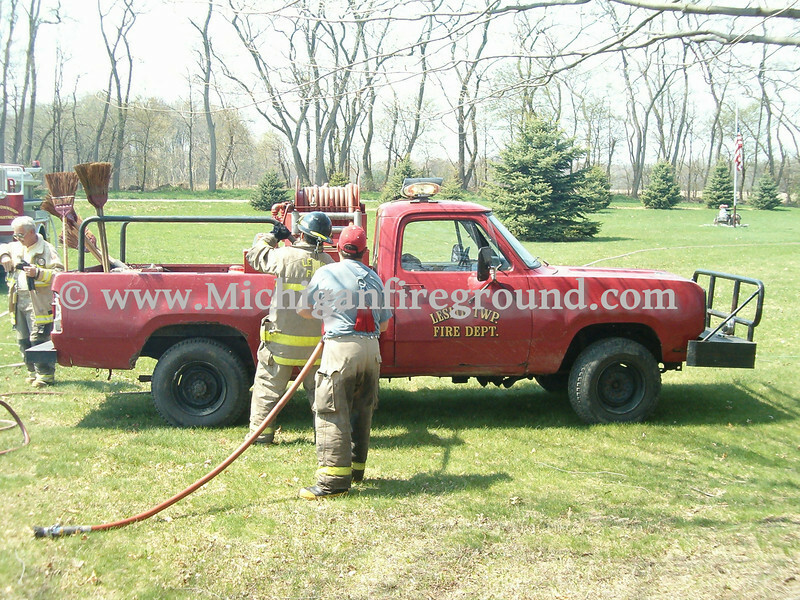 Mutual aid was requested from the Leslie Fire Department which responded with an engine, tanker and grass truck. The lumber pile was manually overhauled to complete the extinguishment and prevent rekindle.